FOXBORO, MA: Tonight Foxboro Cable Access will air live coverage of the Fats, Oils, and Grease (FOG) Control training event starting at 6pm. Â Live coverage will be broadcast on the Education Channel, Comcast 12/Verizon 37. Fats, Oils, and Grease, or FOG, is a byproduct of cooking, food preparation, and clean-up. FOG can be found in meat, shortening, butter, margarine, sauces, and dairy products. FOG is one of the leading causes of plumbing and sewer system blockages. These blockages will result in costly cleaning of plumbing systems and, in many cases, require replacement of plumbing, septic and sewer system components. A property with a non-functioning sanitary system is considered unfit for human habitation by the Department of Public Health. The Centers of Disease Control and Prevention identify over 30 types of diseases that humans can be exposed to when coming in contact with wastewater. In 2001 the Wall Street Journal released a front page article about the problem the nation is having with FOG management. The report revealed that 75% on the sewer systems in the nation are running at Â½ capacity due to FOG and the price to clean these lines out are placed on the taxpayers at $25 billion dollars a year. In 2004 the US Environmental Protection Agency released a report to Congress showing that 47% of all sewer overflows nationwide were caused by FOG. The problems that FOG causes can remain buried and invisible to us but as the problem worsens it will eventually reach the surface coming in contact with the public and environment creating a serious hazard. The Foxborough Board of Health has established a FOG Control Program to promote environmental protection, ensure the protection of public health, and support a proactive approach to manage FOG in Foxborough, reducing costs associated with FOG and promoting economic growth. The Town of Foxborough spans over 20 square miles with 1 square mile being wetland area including 13 public drinking water wells. The Town is 90% on private septic systems with the remaining 10% on town sewer that is treated by the Mansfield Wastewater Treatment Plant. 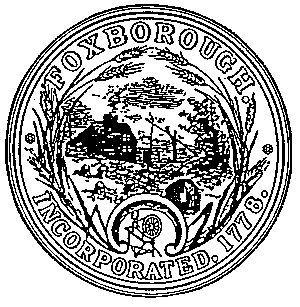 There are about 6,400 residential kitchens and over 150 commercial kitchens in the Town of Foxborough. If all the residents in town kept 1 tablespoon of FOG from going down the drain, that would equal 25 gallons of FOG per day!